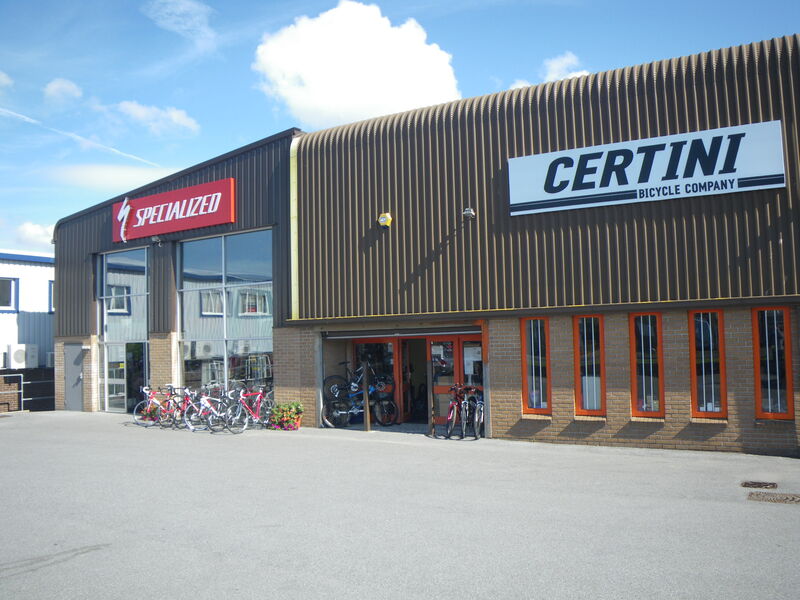 Specialized Concept Stores seem like a toyshop for middle aged bike obsessives. They have every one of the extensive range of models of bike that Specialized make. They have every glove, every type of tyre. It’s an enormous amount of stock to carry but an impressive sight. I’d arranged to have a test ride on a Specialized Roubaix carbon fibre long distance bike. This has the various geometry qualities previously discussed in the blog that should give a good long distance ride. The tyres it is supplied with are 25mm so it definitely works with 25mm tyres. 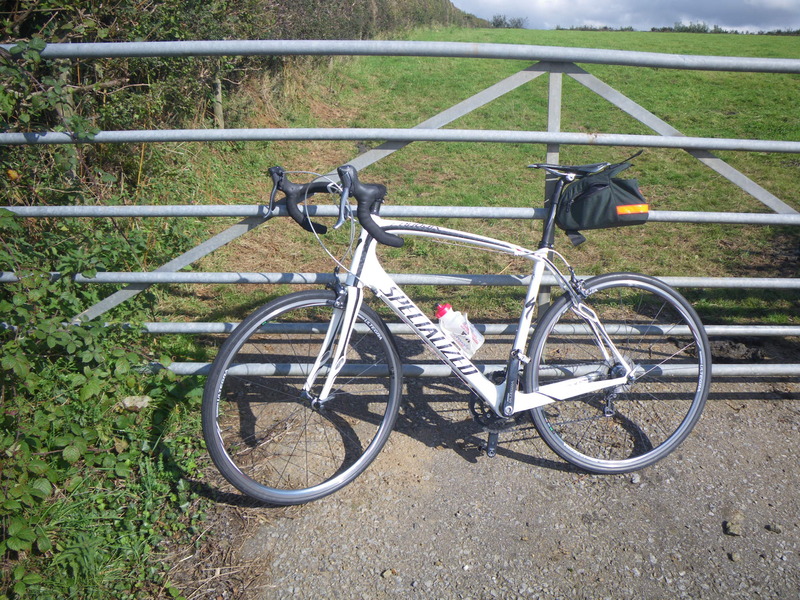 After adjusting the saddle and realising that yet again I had forgotten to bring my Brooks B17 saddle I set off. The route I had in mind was mainly hilly A roads. It was midday and sunny. The Specialized was extra stable downhill. In fact you might say that the steering was not that sensitive. I count this as a plus point. The bike was very comfortable on the hoods. It was ok on the drops but could do with being a tiny bit higher. When I got off the A road I tried riding no hands. If the bike is balanced and stable this should be easy. It is, good! Riding up a lane, which was just like a typical bit of audax route I realised that apart from the saddle the bike felt great on that sort of road. BTW in the picture above there is a saddle bag. Specialized Concept Stores do not fit Carradice saddlepacks on their test bikes. I brought it with me. When I got back to the shop I discovered that the stem was in “down” position giving a cm or so of extra drop. The other way up it should put my hands in a better place. We had a brief discussion about prices. I went for a coffee at the Waitrose over the road to consider. Then I put a deposit down. Looks like my new bike is a Specialized Roubaix, 58cm, Black/Silver with a triple. maybe a foolish question but, if your running a hub dynamo and the forks are carbon.. does this mean you’ll have to attach a bit of brass/steel or somesuch to make an ‘earth’ contact point? can you fit full length ‘guards on the front forks also? (if you wanted to that is). p.s. ive gone for a Salsa Casseroll for my winter steed..seems okay despite being a heavy old steel frame. Have you tried a Cannondale Synapse? Or could someone else comment on SynapseRoubaix ? I haven’t tried this bike. The geometry is slightly less comfortable than the Specialized Roubaix, but it is a similar kind of thing. Any chance of a update on how you have found the bike long term and any updates you have made to your bike. Simon, not much to report. 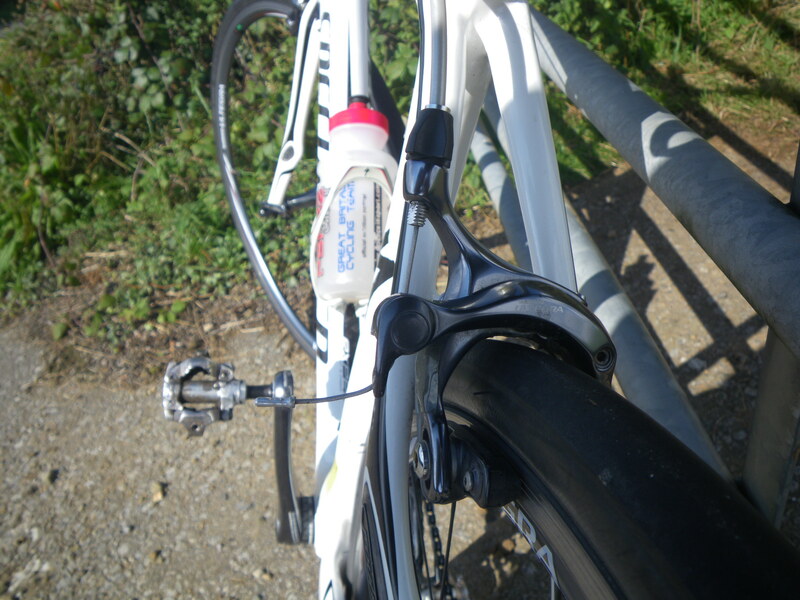 As you can see from recent blog posts I’ve had mechanicals due to worn out chain/spocket/gear cables. Other than that it’s all good. I have switched back to the stock seatpost. This is mainly because the old Ti bike is back in use and a Ti post seems best on a Ti bike. The mudguards ( Crud Roadrace ) are good with 25mm tyres but wear out faster as the ultra close clearance means they are abraded by road grit. The bike hasn’t done mega mileage, about 4000km this year and I would guess a little more than that previously. Thanks for the update I’m looking to prob go through the same process as you did(although not because of the frame breakage)and my geometry is almost the same as you were looking at(22cm head tube etc) thanks for all the info.